Happy 2nd Blogiversary to ME!!! I cannot believe I have been doing this blogging thing for 2 years! I have been enormously blessed in more ways than I can count throughout this journey – and I am so glad to have some of my bloggy friends to help me celebrate with a Cupcake Linky Party! 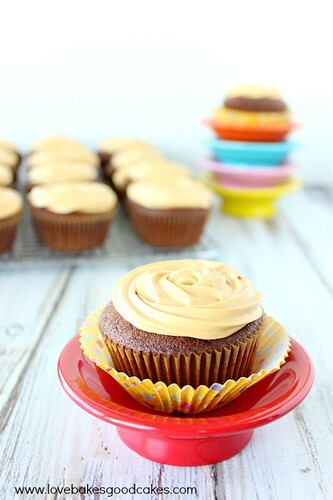 I’m sharing Mexican Chocolate Cupcakes with a Dulce de Leche Cream Cheese Frosting ….. try to say that five times fast! Yikes! 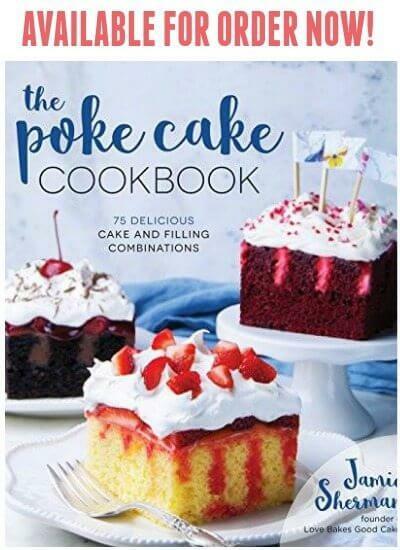 Be sure to read all the way to the end to see what my bloggy friends made for my party – and if you’re a blogger, come link up YOUR cupcake recipes! My intention from the beginning was just to have an outlet that was mine … ALL MINE. Something I didn’t have to share with my kids – and hopefully, a place where I could find a few like-minded people who loved to cook and bake. Looking back …. I had no idea how important this blog would be to me … how much it would become my “baby” …. how many countless hours I would spend on it writing posts, taking pictures, tweaking the look and feel …. or how many brain cells I would lose from trying to learn this thing called HTML. (I swear I felt them exploding!!) The truth is, as bloggers we put sooooo much time into this. Countless hours. It’s not just what you see – but sometimes what you don’t see. Never in a million years, would I have guessed I would have almost 27,500 followers on Facebook, more than 2,600 followers on Twitter, more than 17,000 Pinterest followers and over 450 followers on Instagram! This blows my mind every single day! I probably don’t tell y’all often enough how much fun you make my “job.” Or how much I appreciate each and every one of you who takes the time to stop by my blog or follow me on social media. Preheat oven to 350°F. Line 24 muffin/cupcake holes with paper liners. Set aside. In a medium bowl, combine the coffee, cocoa and cinnamon with a wire whisk until smooth. Set aside. In a separate medium bowl, mix the flour, baking powder, salt and baking soda until well blended; set aside. In a large bowl, beat the butter and sugar with an electric mixer on HIGH speed until creamy. Add the eggs, one at a time, beating well after each addition. Set the mixture aside. Add the buttermilk and vanilla to the slightly cooled coffee mixture. Add half of the flour mixture, then add the coffee mixture, into the butter mixture. Repeat with remaining flour and coffee mixture. Beat on medium speed, scraping the bowl occasionally, until the mixture is well combined. Divide the batter evenly between the paper-lined tins. Bake for 18-23 minutes or until a toothpick inserted near the center of one of the cupcakes tests clean. Cool in pans for 10 minutes before removing to a wire rack to cool completely. Meanwhile, in a large bowl, beat the dulce de leche and cream cheese on high speed until well blended and smooth. Scrape down the sides of the bowl. Beat in the whipping cream until stiff peaks form. Top cooled cupcake with frosting. Delicioso ….. these things are lip-smackingly good! 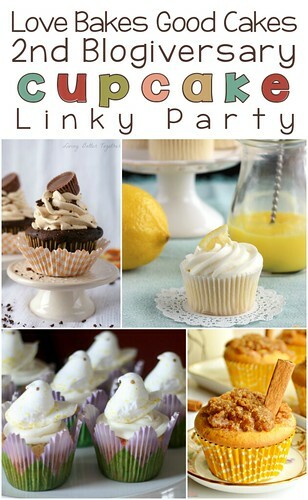 My bloggy friends are here to help me celebrate with even more cupcakes! 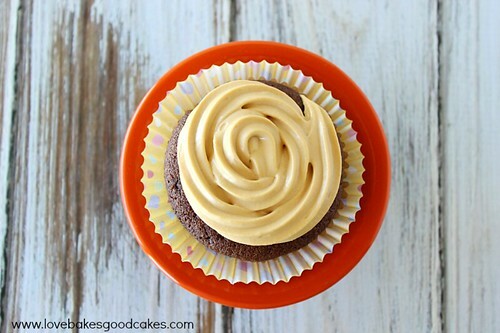 If you’re a blogger, please feel free to share any cupcakes you have posted! There’s something for everyone here! Congratulations on your 2nd blogiversary!!! You are amazing and a blog I look up to so much! I thought you were older (in blog years, that is!) Thanks for the fun cupcake party too, I appreciate you! Much continued success to you and your blog my friend! Happy year two to you! I thought it's been longer than that…you've got it going on, girl! Thank you for the cupcake party. Fun! A week later, I'm still thinking about these. Thank you for linking! Happy Blogiversary, Jamie! What a great accomplishment! It's been fun to see all the success you are enjoying due to your hard work, the relationships you've fostered, and faith in the One who makes all things possible. Congratulations, sweet friend. Enjoy your sweet success! You deserve it! Your cupcake recipe sounds wonderful. Thanks for letting me be part of your celebration. Jamie just wanted to say Happy 2!!! The cupcakes look delicious and thanks for letting us celebrate along with you! G'day and Happy Blog Anniversary! Congrats, true! Shared a cupcake to you party and spread the love today too! Happy Blogiversary, Jamie. What a fun way to celebrate!! Congratulations Jamie, what an amazing journey blogging is! I am so happy to have "met" you, and that I get to share LGSS with you. You are a wonderful inspiration my friend. Thank you for not kicking me out, even though I can never remember to check the email!! 🙁 Have an awesome cupcake celebration….just don't eat too many. 😉 One of these days I will have to deliver some in person.! 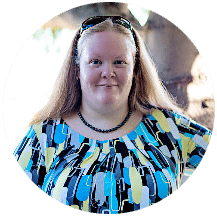 Jamie, wishing the happiest Blogiversary ever! This cupcake looks SO good and it's so much fun to celebrate with you! Just so thrilled to have met you through blogging and so grateful for your friendship! Wishing you many, many years of blogging fun, friendship & love. Hugs! Congrats on your 2 years, Jamie! I'm so glad I got to be a part of your celebration! These look awesome! 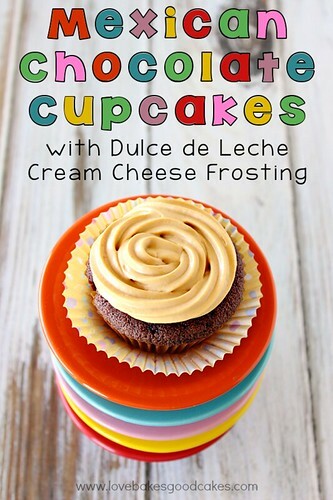 LOVE the sound of dulce de leche frosting!! Good Evening Jamie, Happy Anniversary and congratulations on 2 years of blogging. I completely hear what you are saying about blogging…. the first time someone left a comment on my blog was fabulous, I couldn't believe that someone actually took the time out of their day to respond to what I had written. I have discovered that there are so many kind and generous people in the blogging world and I am proud to be part of that same community. Thank you for the recipe for your Mexican Chocolate Cupcakes…. I love chocolate so I will certainly be baking them. The community is definitely one of the best things about blogging! 🙂 I would love to hear your thoughts in these cupcakes when you make them – thanks so much for stopping by, Daphne! I wish I could enter your giveaway but I don't have facebook. Those cupcakes look absolutely incredible, fantastic recipe Jamie! Happy 2nd Blogiversary Jamie! Wow it is incredible what you have accomplished in a short two years, that is just awesome! Wishing you continued success in your great blog and enjoy your party! What a fun idea!!! I love cupcakes 🙂 Happy 2 year blogiversary Jamie! And congrats on how much you've made your blog grown over that time! Wow, congrats on your 2 years anniversary of blogging! What an accomplishment it is for you! I love all of your wonderful recipe that you share with everyone. Wishing you many more years of blogging! GREAT photography on a yummy looking recipe! Thanks for linking up to the Weekend re-Treat Link Party! At first I thought it was hot like Mexican food 🙂 silly me :-), but now I now it's sweet and tasty! Coffee and cinnamon combination – great! Congratulation on 2 years of blogging! I wish You many years more. Happy Blog birthday… you have done a wonderful job on this blog. I am pinning these cupcakes. I love the addition of cinnamon, never seen that with chocolate. Happy blogiversary! I'm pinning this recipe! Happy Blogiversary! I love looking through your posts that you link up to the Frugal Crafty Home Blog Hop. Thanks for sharing every week. These cupcakes look amazing. Pinned! 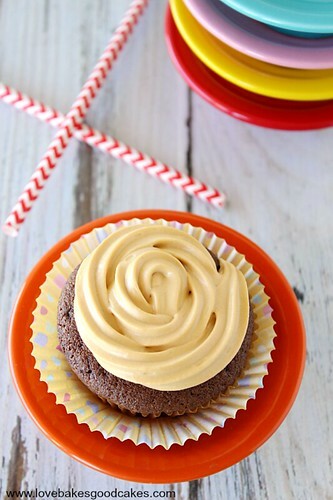 Mexican chocolate and dulce de leche, two of my favorite things in one cupcake. I cannot wait to try your recipe. The flavours in this cupcake sound yummy. Thanks for sharing on Sweet and Savoury Sundays, stop by and share with us again this weekend! Congratulations and Happy 2nd Blogiversary! I remember when you started, following you and watching you grow by leaps and bounds. Thank you for including me in your celebration. All the best to you and I look forward to continue sharing with you. Congratulations and happy 2nd anniversary! I love checking out your recipes…your pictures are always stunning! Hope you are having a great weekend! Pinning!